The U.S. Cooperative Hall of Fame was established by the Cooperative League of the USA (CLUSA), now known as the National Cooperative Business Association, in 1976. This prestigious recognition is for those whose contribution to the cooperative movement has been truly heroic. Inductees are limited to a prestigious group carefully selected to preserve the nature of this special recognition. Each year a select few men and women are so honored. The Cooperative Development Foundation administers the Cooperative Hall of Fame. Nominations are received annually and reviewed by two committees, each composed of current leaders from the various sectors of the U.S. cooperative movement. Two PCPI leaders are members of the Co-op Hall of Fame. 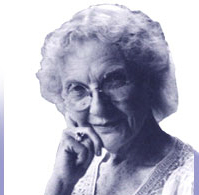 Katharine Whiteside Taylor was the first director, in 1927, of the Children’s Community Center in Berkeley, California, a parent cooperative nursery school, which is now the oldest continually operating cooperative preschool in the U.S.A. As the number of preschools around the world grew, Katharine recognized the need for a book detailing a sound educational philosophy and good practices for working with children and parents. In 1954, Teachers College Press published her Parent Cooperative Nursery Schools, later retitled Parents and Children Learn Together. She also launched a newsletter, The Parent Cooperative, in 1958, to help develop communication among the cooperatives of the U.S.A. and Canada, and was active in the establishment of PCPI. On April 17, 1996, Katharine Whiteside Taylor was inducted into the U.S. Cooperative Hall of Fame. This prestigious recognition is for those whose contribution to the cooperative movement has been truly heroic. Becky Allen discovered cooperative preschools when her children were young and she subsequently learned more about them from Katharine Whiteside Taylor. Over the years, she was an editor, teacher, consultant and a strong advocate of parent education, parent participation and parent administration of preschools. She served as editor of the PCPI publication, The Parent Cooperative, and was co-author of Global Connections, a history of PCPI. Becky also served as a consultant during the organization of the Head Start program in the mid 1960s, insisting that parent involvement be a key component of the program. In 1998, Becky Allen received the National Cooperative Month award for Cooperative Education. On May 3, 2006, she was inducted into the U.S. Cooperative Hall of Fame.